Thank you for choosing Encore Dance Academy. Please note: All Classes selected will be checked by instructors/office staff to ensure the correct level/age has been selected. If any changes need to be made, the office will contact you via email/phone. A class confirmation email will be sent upon approval. SUMMER - NEW STUDENTS- please register on line and we will correct the fees to be $25.00. Your dancer can take any classes they want as long as they are for her/his age group. Our only limitation is you can't take 2 of the same style (2 ballet classes). No extra fees just $25 So dancers can come check out the studio and enjoy some summer classes. During the first month of classes, the teachers will be evaluating for proper placement. If a change is needed, you will be notified. If registering after August 31st, 2 months of tuition will be due at time of registration. While the dance year is from September to June, our annual tuition is broken down into 10 monthly installments payable between August and May. 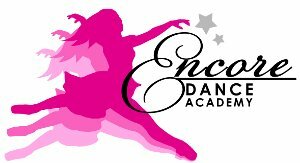 Already Registered with Encore Dance Academy? New to Encore Dance Academy? If you have taken classes before with Encore Dance Academy and you have given us your e-mail address, try the forgot your password link. If not, please contact the office to give us your e-mail address and to set your password.